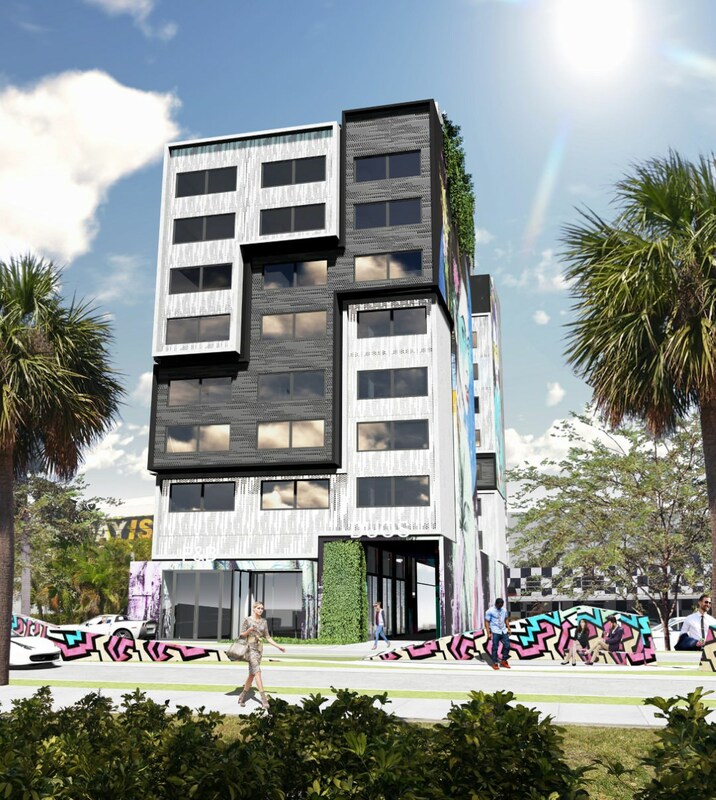 Wyndev Holdings LLC has submitted plans to the city for the Duos condo-hotel at 335 N.W. 28th Street in Wynwood – with a theme from a popular video game. The exterior design of the eight-story structure includes tetris-style interlocking blocks. There will also be perforated metal panels and art murals featuring rotating artists covering the facade. In total, 51 condo-hotel rooms, each which a kitchen, is proposed. There will also be 3,000 square feet of retail or restaurant, bringing the total size of the building to 37,547 square feet. MKDA is the architect. 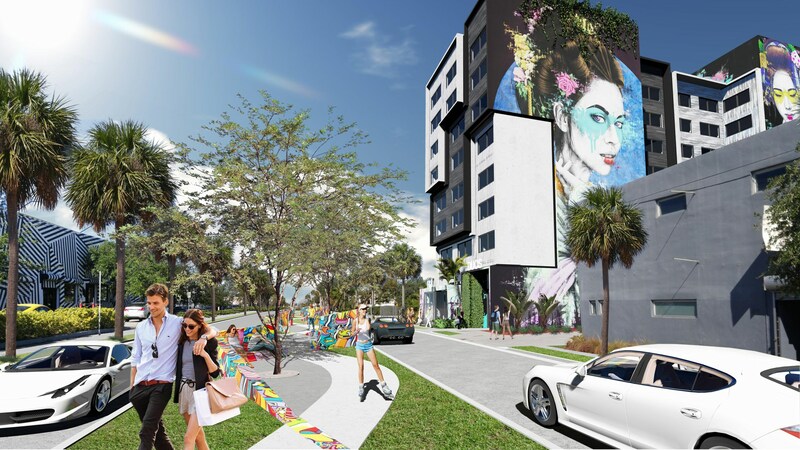 The Wynwood Design Review Committee had been scheduled to review the plans this week, but the meeting was cancelled. Yes sir, a lot of construction taking place in Wynwood. Love the lack of parking, and the new traffic-calming median running down NW 28th Street! Lack of parking? 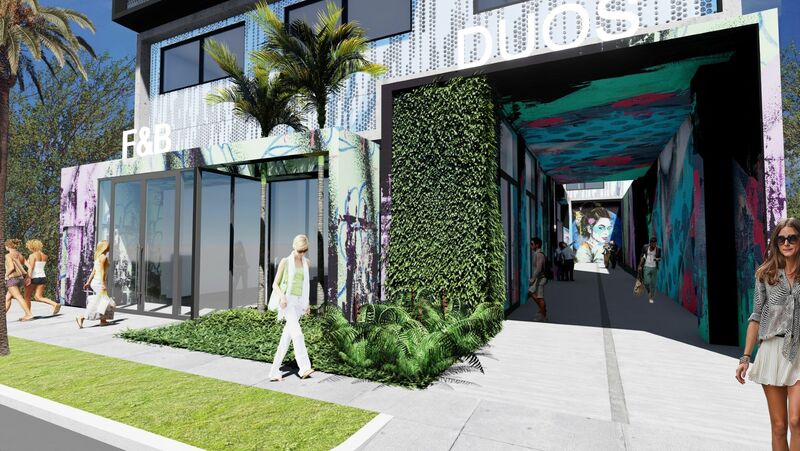 The new Wynwood Garage is a block away. Yes, the lack of site-specific parking, which seems to be coupled with every new project down here. It’s refreshing to see a new project sans-podium. That looks like city planning decision. They probably just incorporated it into the design. Maybe he/she means a parking podium is not part of the project, thus “lack of parking”. 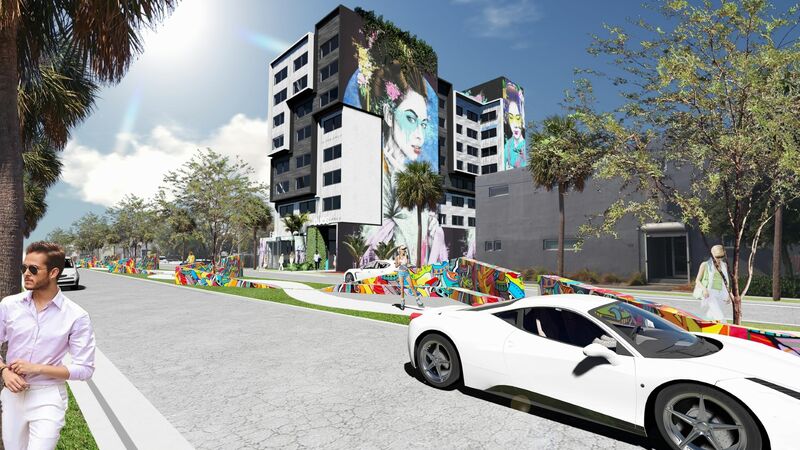 Now this looks like a project that embraces the Wynwood Aesthetic. I really like that middle median with landscaping. ah great! the Tetris theme song is stuck in my head now. lol. ting ting ting…ting ting ting…ting. Hey developers of the CitizenM Hotel, take notice! middle median is perfect ! OMG this is soooo cool!! Love the Tetris theme, fits great with the Wynwood vibe for the youngsters.